Your company is based in Brownsville, Texas. It has done business primarily in Texas for decades. Nevertheless, your company owns a small subsidiary in Nevada that oversees different tasks largely unrelated to the core business in Texas. However, you discover suit has been filed against the Texas corporation – in Nevada. How is that possible? Under a legal theory known as “alter ego personal jurisdiction.” Basically, this theory enables a court to allow a lawsuit to be brought in a particular jurisdiction against a corporation based on the company’s contacts within the forum via a subsidiary. The theory is based on vicarious jurisdiction. The rationale is that a foreign parent corporation should not be able to evade liability simply by establishing a local subsidiary. Vicarious jurisdiction has been permitted if there is sufficient evidence showing that the local subsidiary performs services that are “sufficiently important” to the foreign parent corporation that if the local company did not exist, the parent corporation would undertake to perform substantially similar services in the forum. The answer is simple – bringing in large, out-of-state corporate defendants to a lawsuit expands the number of “deep pocket” defendants. It also helps create the “David v. Goliath” narrative where the plaintiff’s attorney can point to a big corporation and say they are hurting the “little guy” in the local jurisdiction. Alter ego personal jurisdiction and/or vicarious jurisdiction is overly broad and denies due process to the parent corporation. It is equivalent to you being sued for your step-brother’s automobile accident. Yes, you are legally related to your step-brother, but that does not mean you are responsible for his actions. In Goldthrip v. DePuy Orthopedics, Inc., No. 15-00651-KD-B (S.D. Ala. Dec. 8, 2016), the lawyers representing the plaintiffs sued not only the company that made and sold a hip implant device, but also its corporate parent. The suit was filed in Alabama federal court, but the parent company’s primary place of business was New Jersey. Furthermore, the parent corporation neither made nor sold products. It was actually just a holding company. Despite these facts, the plaintiffs argued that alter ego personal jurisdiction should be extended over the parent corporation because of the subsidiary’s contacts within the forum and the companies were so intermingled and joined that one was the alter ego of the other. The misuse of the corporation caused the harm complained of. The two corporations maintained their own accounts and did not share or exchange assets. 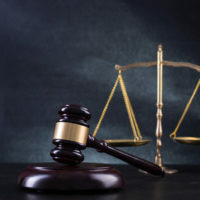 Applying the appropriate legal standards to the facts, the district court easily ruled that the evidence clearly showed that the two companies were separate corporations. As you can see, plaintiff’s lawyers will attempt various legal maneuvers to try and sue large corporations. Your company needs attorneys who are ready to fight these types of shenanigans. The Brownsville attorneys at Colvin, Chaney, Saenz & Rodriguez, L.L.P. are ready. The firm is comprised of more than just litigators; we are trial lawyers. Our lawyers are in trial every day, providing strong, effective defense in personal injury cases, insurance coverage disputes, and other matters. Contact our office today.